This beautiful lady from the abyss measures about 1 mm in length. 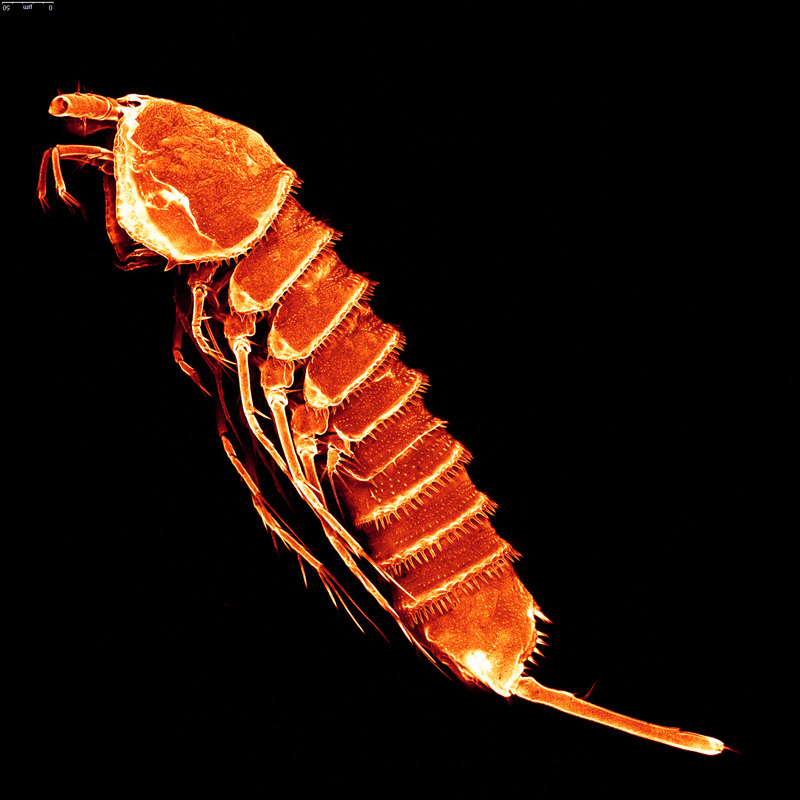 She belongs to one of the most abundant families of sediment dwelling copepods (crustaceans) in the deep sea. This species, described in 2011, is one of the first deep-sea species for which extremely wide geographical distribution across Atlantic, Pacific, and Southern Ocean abyssal plains is reported. The image was taken with a Confocal Laser Scanning Microscope (CLSM) from a Kongo-Red stained animal.